I'm proud to have become affiliated with Keller Williams Realty Centre. My goal is to provide extraordinary service to clients and develop future long lasting relationships. I will deliver the best results and do it because I care about your experience in buying or selling a home as home ownership is one of the biggest investments we will make in our lives. I'm licensed in Maryland and provide service to Anne Arundel, Baltimore, Howard, Prince Georges and Montgomery Counties. Call me for your real estate needs! You need someone who knows this area inside and out! I can work with you to find the right home at the right price for you, including all the neighborhood amenities that matter - not to mention the essential criteria you have for your ideal home. Click here to start your home search NOW! When it's time to move, you need someone who will advertise your home, show to prospective buyers, negotiate the purchase contract, arrange financing, oversee the inspections, handle all necessary paperwork and supervise the closing. I can take care of everything you need, from start to close. Click here to see how much your home is worth INSTANTLY. Oftentimes buyers don't visualize living in your home the way you do. I can make your home attractive to its ideal audience - which can help you get top dollar. Things like staging the home, making repairs or minor improvements, or even simply painting the walls can be the difference between a home resting on the market and one that's sold fast. Contact me today to get started, 301-367-7877. "Going on the journey of homebuying with Tanika made the experience easier and enjoyable. Of course it was an emotional rollercoaster, but Tanika was there every step of the way to ensure I stayed positive and reassured that I would find my dream home. She was responsive, flexible, honest, nice, patient and understanding throughout the entire process. She was just as excited as me when I finally closed and purchased my first home. I definitely recommend Tanika to anyone who is ready to go on the journey to find your new home." 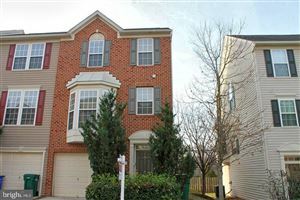 "I had a wonderful experience working with Tanika to sell my home in Maryland. We met when she was canvassing my neighborhood to find out if any owners wanted to sell their property. Tanika's timing couldn't have been better because my husband and I were planning to move to California and we needed some professional advice on how to make the move happen as smooth as possible. When we sat down with Tanika she answered all of our questions and made us feel very comfortable moving forward with her. Tanika is very knowledgeable, honest, and professional. She is also extremely organized and has great follow through. There were a lot of delays with the Bank etc, but she kept me informed and she stayed on top of everything all the way until the end. I am so happy that Tanika was our Realtor. With a cross country move, it was important for me to work with a knowledgeable Realtor who I could trust. I would highly recommend Tanika!!!!" "Tanika was very accessible. Very easy to talk to. She helped negotiate a very good offer. Kept me updated on all the moving parts. I am very happy Tanika was there for me. Helping purchase my first home." "Tanika was very professional and did a FANTASTIC job of selling my home. She was straightforward with her assessment and her knowledge of current housing trends for my area is second to none. I live 1200 miles from the home I was selling (SOLD), but I knew after our initial meeting, I could trust Tanika with my home and my interest. Right from the start, she had her ideas and marketing plan in mind and on paper. She explained everything to me and provided me with her marketing plan. Tanika had an open house the first week my house was on the market, and 3 times more showings in the first 2 weeks, than the previous agent who had it for over 6 months. Tanika Belfield-Martin worked extremely hard to sell my home, and I am truly blessed to have had her as an agent." "I met Tanika at an open house. She introduced herself and let me know she had experience working with first time home buyers. I was a first time home buyer and did not really know where to start. She told me worked with a great lender and with my permission she would pass along my information. Within 2 days from that open house, I was contacted by her lender and immediately began the process. Tanika met with us and discussed what we were looking for. She quickly began setting us up with properties to look at. We put offers on 3 homes, but unfortunately did not go through. I was disappointed as was she. The market is very competitive. She never let us down. She continued to send us properties and came up with a new strategy. IT WORKED!! We purchased our first home with Tanika on April 29. Everything went so smoothly. She kept me up to date on everything that was happening. I am so glad that I went to her open and met her! " "Thanks Tanika for helping us find a property to rent. You made the process so easy and hopefully next year we will be ready to purchase a home and will surely have you help us." "Thank you Ms. Tanika for your professionalism and caring spirit as we searched for my next home. Your patience and flexibility made this experience pleasant. I absolutely will recommend you to any person I know that is interested in renting or purchasing a home. I also will most definitely keep in touch so you can guide and support me for purchasing my future home! " "Tanika is a wonderful realtor! She is guided us through the whole process of selling our home so we walked away with what we wanted. Just a nice person and very professional." "I would highly recommend Tanika to my family and friends. She really took time to help my husband and I find the right home for our family. She is very patient and negotiated the best price for us." "Tanika is just a wonderful Realtor! She is very attentive and worked hard to find the perfect home for my family. We definitively recommend her to all our family and friends." "Tanika is a professional who helped us though the entire real estate process. She answered all my questions and actually answered her phone when we called, unlike another agent we attempted to work with. We would highly recommend her to all our friends and family."